Riflescope can be useful and fun to shoot, but the fact of the matter is that there are times when you just want to make sure that you hit your target. Whether you are a hunter, or you just enjoy shooting for sport, you know that choosing a scope for your rifle will be one of the biggest factors in determining how accurately you will be able to shoot at your target. There are all sorts of rifle scopes available to today’s shooter, from gun-specific models to all-purpose adjustable models and there are great options for every type of gun and every style of shooting. Some of the most exclusive are the high-end rifle scopes. Riflescopes are designed to help you make long distance shots that count. They provide extra range, added clarity, and super-precise instruments for compensating for elevation, windage, and parallax. However, it can be pretty darn tricky to figure out which one will hit the target. But the good news is, there’s a perfect scope for every shooter and every gun. 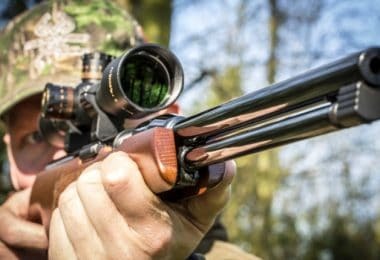 Owning a good scope is a necessity for anyone with an air rifle; they allow you to zero in on a target and ensure a fast, humane kill when hunting. 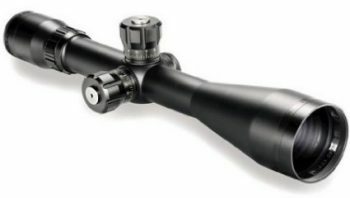 The table below shows some of the best high-end rifle scope available on the market. There are many scopes on the market from many different reputable manufacturers, so choosing the best one can be a daunting task. When you’re shopping for the best high-end riflescope, you will need to consider your needs. So, before we dive deep into each, it’s important to mention a few key features you’ll want to consider. It is important to understand how what you’re actually looking at is made before you go out looking for a new scope. A large objective lens will let more light into the scope for a clearer picture. Large objective lenses tend to reduce aberrations, mirage, and produce a larger field of view than smaller lenses. 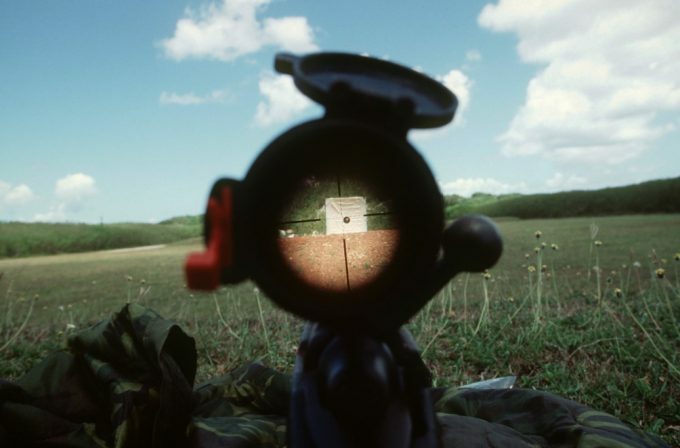 When selecting a scope with a large objective it is paramount to make sure that the rifle can accommodate such a scope without too much alteration. This is another factor to consider since it will greatly help you to determine what range of rifle scopes you want to be shopping in. The reticle represents an important feature and getting the wrong reticle in a scope, regardless of how good the scope is could render it useless. 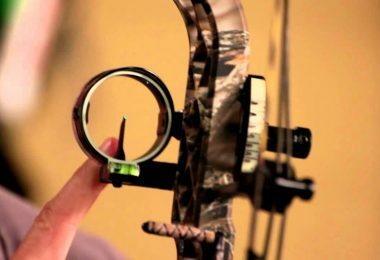 There are a number of styles of the reticle that you can choose from, each with different benefits. 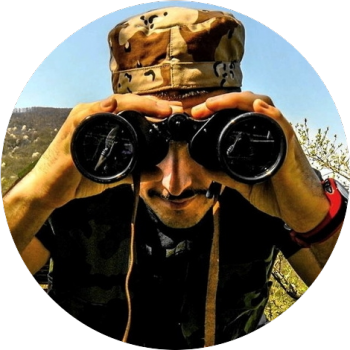 Checking out on the riflescope reticle will help you identify which set of the reticle is going to help you maximize your hunting potential. For the sake of saving your wallet some stress and ensuring a productive hunt, put a little thought into what magnification you need. As the magnification decreases, the field of view increases, making the scope narrowly focused on a rather small field of view. This is a detriment when it comes to short range shooting, and the shooter will spend more time zooming in and out. In determining whether or not you need to consider this as a factor in your shopping spree for the best high-end riflescopes, you’ll need to take into account your types of targets, hunting distances, and magnification settings. All riflescopes have adjustments for elevation (up and down), windage (lateral), and focus on the individual shooter’s eye. 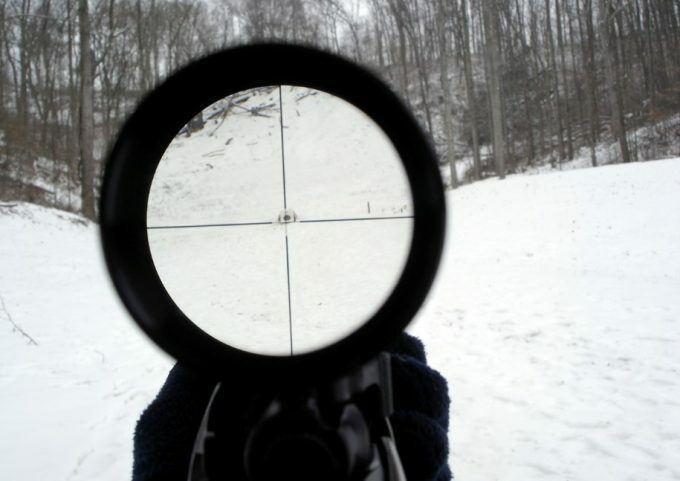 If the parallax adjustment is set for the wrong distance, your target will appear to be where it isn’t. This is called parallax error and causes you to shoot at the wrong spot. The best parallax adjustment should feel secure and solid under your fingers, and provide very definite clicks as you change settings. This is the distance between the ocular lens and your eye. A closer eye relief let you get a better view using your scope and feels more natural. 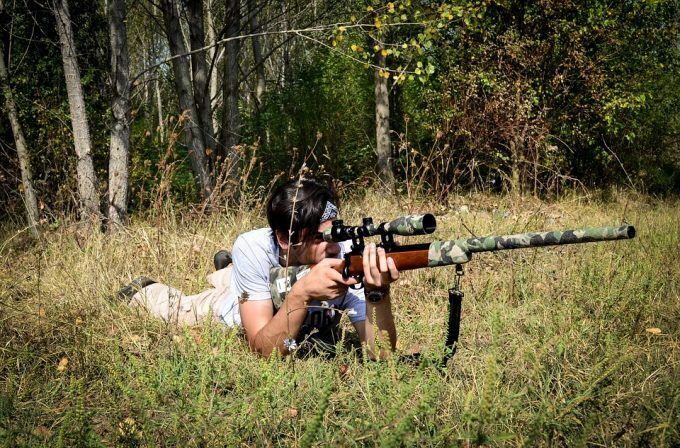 As a general rule for a hunting rifle, a scope should have a bare minimum of 3 inches of eye relief, on a heavy shooting gun, 4 inches is the least you need. Turrets are an important factor to consider. This is a fundamental feature that all scope users must be able to nail. A user-friendly and high-quality rifle scope’s turret system should allow you to hold its zero and get it sighted faster, no matter the amount of recoil. Field of view is generally measured at every 100 yards. It is the amount that you are actually able to see from right to left at a distance through your scope. Your field of view will be adjusted when adjusting the magnification of your scope. If you decrease the magnification of your scope your field of view will actually increase and vice versa. The marketplace is pretty hard for the average person to navigate. 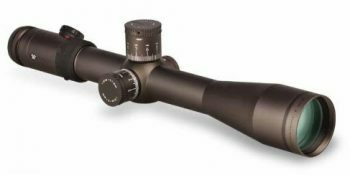 Choosing the best high-end scope can be a very difficult task and we understand this so therefore, we have done the hard work of researching the market for the best options out there. Whether you’re a beginner and want to see what a difference scopes can be when shooting or you’re an experienced shooter looking to enhance the fun, you’ll find a scope that meets your need on our list. So, we suggest you read further and take a look at some of the best high-end rifle scope we found out for you. Here, you will find the riflescope that meets all your shooting requirements. Description: The Bushnell Elite Tactical worked diligently with military experts and law enforcement to design the finest family of tactical shooting instruments in the industry. The scope is equipped with a Mil Dot aiming reticle and target turrets for quick and precise target acquisition. Band coating and fully multicoated optics for light transmission and image clarity. The 4.5-30x 50mm features Ultra Wide Band Coating to boost brightness at dawn and dusk, plus argon purging for the absolute finest in long-term reliability. If you are looking for reliability when it counts, trust Bushnell Elite Tactical. Description: The Hensoldt ZF delivers an outstanding optical image. Furthermore, these riflescopes are comparatively light weight, quickly ready for use and easy to use. In addition to military applications, these products from Hensoldt are also well suited for special police units particularly when they are required to protect people at greater distances. With more than 90% transmission and ZEISS T multi-coating, these rifle scopes produce a bright, high-contrast image. The reticle is equipped with continual variable illumination which also allows precise target acquisition during low-light conditions. The increased transparency in the blue spectral range leads to improved visual performance, particularly under low-light conditions. Description: The Kahles K624i offers long range shooters and a masterpiece of a scope. This optic sets new standards with incredible resolution, contrast, and 95% light transmission. It combines unmatched optical performance and advanced reticle options are just a few of the reasons why the top shooters in the industry are switching to the K624i. The elevation adjustment has a second rotation indicator and the most refined zero stop and dial reset available. Oversized magnification adjustment knob makes changing from one to six power effortless, allowing 100% of a marksman’s focus to be on the varying situation Ultra-precision adjustments and it is constructed of hardened steel machined to the most demanding tolerances, deliver a lifetime of wear resistance and 100% accuracy. 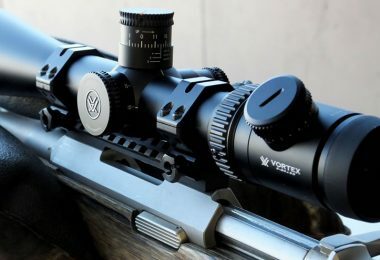 Description: The Vortex Razor HD 5-20×50 is a state-of-the-art long-range performer designed on a solid 35mm one-piece tube of aircraft grade aluminum and packed with more than a dozen unique performance and optical features. It is a flexible scope that can be used for tactical shooting or hunting to get the results you want. This riflescope is designed with multi-layered lens coating, high-definition glass technology and an ultra-hard coating on glass surfaces which includes XT optical design, XD objective lens elements, XR lens coatings and ArmorTek top coat. Heavier windage dot references on the drop lines increase visibility at all magnifications as well as during low light conditions. It is built literally from the ground up to meet the demanding needs of shooters seeking long-range precision. 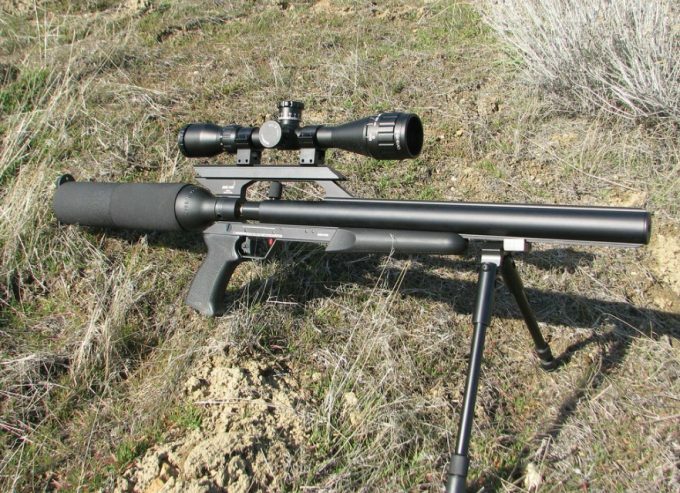 Description: The Carl Zeiss Optical Diavari is the ultimate choice for varmint hunters and long-range target shooters. 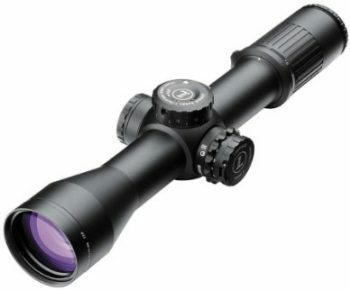 It has excellent performance in twilight conditions and a high magnification, making them great for target shooting and hunting. The rifle scope is sealed tight, preventing dust and moisture from entering, and is also nitrogen filled making it fog proof. The external lens surfaces have been treated with an ultra-hard scratch and water resistant LotuTec coating. The riflescope also features a rugged construction that is built to survive the toughest of conditions. Description: The Leupold Mark 6 offers state-of-the-art features that are common throughout Leupold’s Tactical product line. This riflescope sets a new standard for high performance in a small, lightweight package. This scope has the very best combination of selectable magnification, very high-end glass, light weight, relatively small size, ruggedness, speed, unobstructed view, red dot capability, first focal plane range assessment, and TMR accuracy. Its DiamondCoat already exceeds military standards for hardness and durability. Leupold Mark 6 is excellent choices for both long-range hunting and varmint, likewise long-range competitive shooters. Description: The Nightforce The Beast provides multi-scope capability in one sophisticated package. This rifle scope by Nightforce cuts no corners and the concept known as “a beast” is born, both for the difficulties it presented and for the times when it seemed they had created a monster. The B.E.A.S.T. 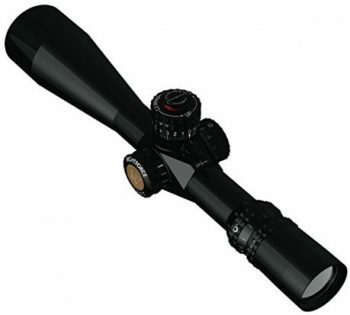 achieves over 90% light transmission outperforming every existing riflescope in poor light conditions. The Nightforce BEAST RifleScope eliminates a number of variables, resulting in greater speed and ultimately in greater accuracy in high-stress environments. 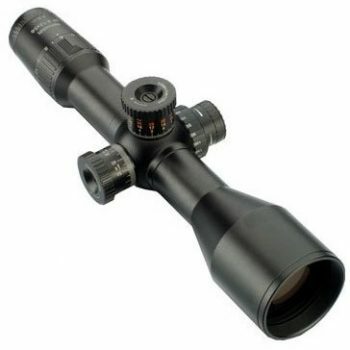 This truly advanced scope also features XtremeSpeed adjustments which provide 60 MOA of elevation in a single rotation. Pricey, but you get what you pay for. Description: Law enforcement professionals will find the Schmidt Bender PMII applicable to a number of specialized long-range applications and weapons. 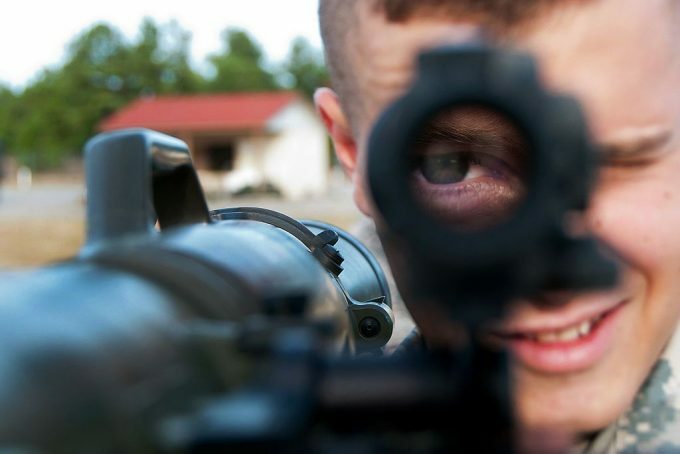 The riflescope includes coded elevation knob and Schmidt Bender unique color that gives the shooter eye blink reference to where the elevation is set. Expanded functions of the adjustment turrets make the scope even more suitable for today’s applications This Schmidt and Bender riflescope has an illuminated reticle with 11 graduated settings offering precise control relative to ambient light. The parallax compensation already used successfully in many other Schmidt & Bender scopes allows the user to focus on targets at a distance. Description: The US Optics ER-25 Illum riflescope is great for circumstances where a high-quality riflescope is extremely important to success. Optical clarity is attainable through a precision engineered lens system; careful deliberation is given to the use of lens coatings. The FFP reticle allows for ranging and holds off points. Whether you are shooting an AR10, AR15, M14, or a bolt action rifle, this optic will meet or exceed the needs of most situations. If you are looking for the perfect riflescope to match your shooting requirements, then select the US Optics ER-25 MDMOA FFP Illum Riflescope. 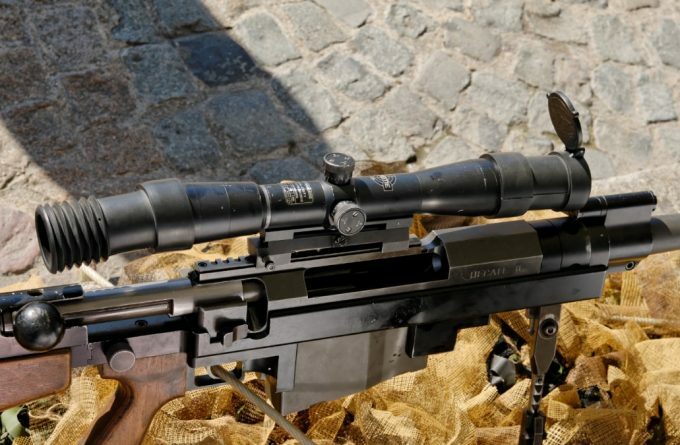 Description: The IOR Valdada is the finest riflescope ever built. It is loaded with great features and offer optical clarity and brightness that will allow the shooter to see details like never before. 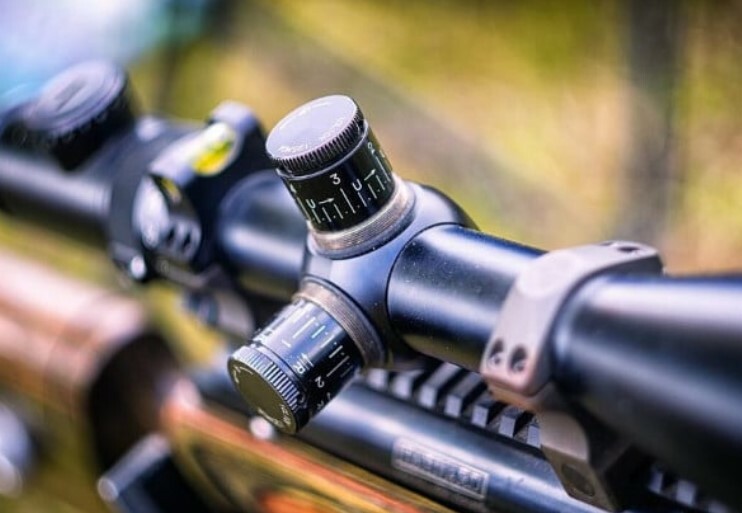 Glass quality is outstanding, including the tracking and repeatability of the scope. If you want the 6.24×56, 35mm configuration, this is a good choice because it is a robust, sturdy, quality piece of equipment and comes in Mil/Mil, with the MP-8 Xtreme X1 Reticle. A quality scope is a piece of gear that should last a long time and can span multiple rifles. It doesn’t matter what your budget is, if you’re new to the sport or a long-time zealot, there’s a rifle scope that’s been made just for you. Selecting a scope is an important decision and sometimes can be more important than the rifle itself. These reviews do not only educate you on the essential requirements of a riflescope, but also make it far easier for you to decide which model best suits your needs. We wish you all the best in searching for the best high-end rifle scope that fits your exact needs. We would like to encourage you to let us know about your experiences with any of this riflescope in our comment selection below. Cole’s passion is travelling around the world. His favourite destinations are South Asia and Western Europe. Cole spends lots of time sailing and knows how important is to have a good gear while you are in the middle of the ocean. Another thing that he is passionate about is astronomy, he says that the best place to look at the sky at night is usually far from the coast. Copyright © Optic Gear Lab. All rights reserved. Reproduction of any portion of this website only at the permission of Optic Gear Lab.